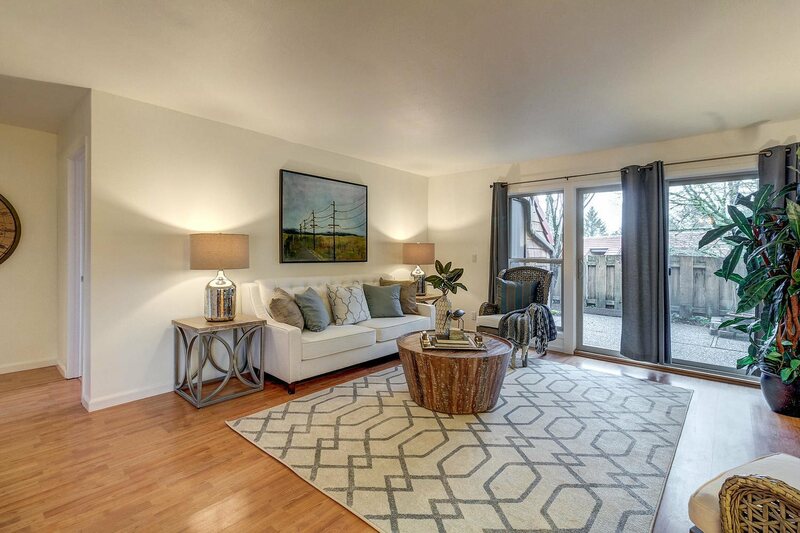 Light and bright 1 bedroom condo in beautiful, peaceful Mt. Park. Ground floor condo at Oswego Summit with large back patio that includes a dry storage unit and opens up to the common green space. Updated appliances with washer and dryer in unit. Home has an extra large den space. Complex has club house with pool! Close to shopping, New Seasons, and PCC Sylvania campus. Includes access to Mt. Park rec. center amenities. To more information on this home, please contact Jill Pereira at 503-753-6493, or [email protected].